It has been a relatively slow news day after yesterdays Santa Ana craziness. One thing that popped into my inbox from Capitol Weekly was an article about the Jerry Brown tax initiative committee raising a lmost 8 million dollars through the final week of July. Taxes being raised in California is not a very popular concept right now and most experts believe that the tax increases will fail unless a lot of money comes in to help the campaign. A great barometer for this is the slim margin of defeat for the cigarette tax that was on the ballot this past June. If voters are unwilling to pass a tax on cigarettes in California then it will be an uphill battle to get any other kind of tax raised. However, with almost 8 million dollars raised at this early point in the campaign it will make for a very interesting and probably close race. Another question that some have is what impact the Molly Munger PTA initiative (Proposition 38) would have on this as Munger is clearly not happy that her initiative was moved lower on the ballot. Proposition 38 has raised almost 9 million dollars during the same time period. This entry was posted on July 31, 2012 at 2:35 PM	and is filed under California. 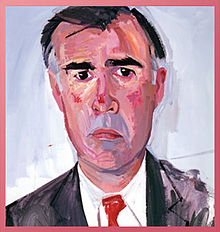 Tagged: Jerry Brown, Molly Munger. You can follow any responses to this entry through the RSS 2.0 feed. You can leave a response, or trackback from your own site.